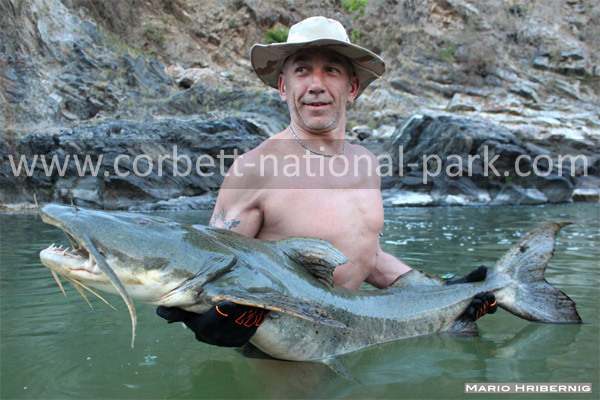 Corbett National park is home of many aquatic species and fishes are one of important of them. The most celebrated among them is the mahseer fish, with other known ones being the goonch fish, and several species of carps and loaches. 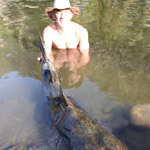 Anglers from around the world come to Corbett in search of these fish. 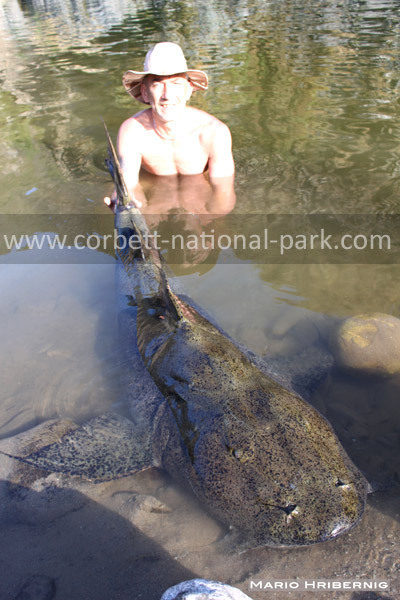 Goonch is a giant catfish that can grow to a length of over six feet and can run to 250 lb, Is the biggest fish on Ramganga river. This species is widespread throughout Asia, but the largest specimens are usually reported from India. 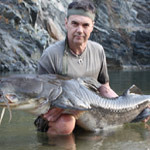 Goonch catfish are normally found in the fastest water in the river and at the top and bottom of the rapids where they meet the pool or in the whitest water .On Ramganga river the best places to find Goonch /Cat fish are Marchulla and Bhikyasen. The name Mahasheer is made up of two local words: Maha = big and sher =lion as it ascends in the hilly rivers and streams of Himalaya courageously. The Golden mahasheer has been known to reach 2.75 m (9 ft) in length and 54 kg (118 lb) in weight. Mahseer angling in the Himalayas requires fast water and a good eye for spotting big fish in the rapids and pools that you find in India and many anglers who travel the world in search of big fish say the Mahseer is the true king of them all, its power having no rivals. "Machula Bridge, Van ghat pools, and other beats along the world famous Ramganga River are the best places to locate Golden Mahasheer Fish. 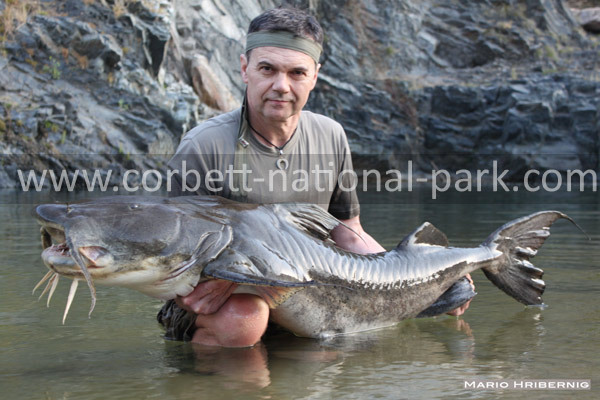 At Corbett National Park angling season starts on the end of September till May Last. As regards best time for angling is start of October till November last the onset of winters here, during peak winters from start of December to till end of January bites are far less. With the arrival of spring returns the best fishing season. From February till May end there are good possibilities for Anglers to get frequent catches.